Architect of minimalist and pure aesthetics, Peter Zumthor was born on April 26, 1943 in Basel, Switzerland. Being the son of a cabinet maker he was given the training of the same profession at an early age. Later in 1966, Zumthor went to New York to study industrial design and architecture as an exchange student at Pratt Institute. After graduation he worked as a building and planning consultant and architectural analyst of historical villages in a Swiss company Canton of Graubünden. He commenced his own office in 1979 in Haldenstein, Switzerland which is still running under his supervision. In 1988, along with architecture practice, Zumthor started serving as an architecture professor at different universities including Harvard. He did not lose hold of his teaching career and is currently appointed at the Academy of Architecture, Universitá della Svizzera Italiana, Mendrisio. Zumthor has this unique approach of keeping his practice small so that he may pay full attention to all minor details of planning and construction. In every project Zumthor shows great respect for the site and material. In his work, traditional demands of the region and modernity both go hand in hand. Among all this, natural light is a prominent element in all his projects and somehow it manages to fill spaces in all his creations on its own with the help of thoughtful planning and design techniques. Moreover, water is also one of the most important elements associated with Zumthor’s work and he makes the best use of it in almost all of his projects. Zumthor is usually regarded as a minimalist architect due to the sternness of his spaces, but actually he does not stick to single signature style or even a peculiar material of choice. He has his own way of contemplating each detail and reacting according to the demand of all the ingredients involved. Zumthor happens to have such forceful grip on details that he can generate distinctive moods within a space with some simple considerations. Skylights, narrow slits instilling natural light, celebrated water bodies, subtle change of textures and dramatic lines are what make a Zumthor product. Zumthor always puts major focus on sensuality of spaces. For him, sensory experience is what helps you make memory of a place. He is of the point of view that materiality and physicality of a space keep the users confined to a worldly experience, while senses fill them with long lasting impacts and enable them to measure the spaces through their intangibility. Not just tactility but Zumthor celebrates all sensual potentials through his intelligent designs. 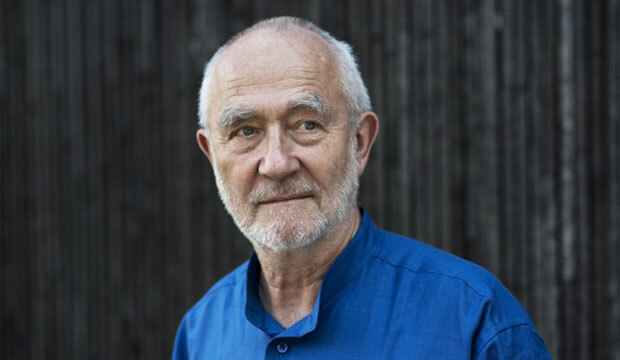 Zumthor believes in a controlled publication of his work. He has this philosophical approach that architecture should always be a firsthand experience, and not what you are taught or told through readings or pages of books. This is the reason he has adapted narrative technique to jot down his work and describes the development of human consciousness and contact with architectural spaces through his writings.